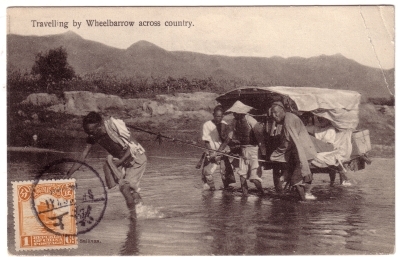 Caption: Traveling by Wheelbarrow across country. Action: Four men pull a wheelbarrow through a ford with another pushing. Their queue is rolled around their head in coolie fashion. Image Particulars: The roofed wheelbarrow is the substitute for a cart in rough ground.